Electra America, a Florida-based owner and operator of multi-family properties, announced Tuesday morning it had extended its previously submitted offer to the board of Pure Multi-Family for an all-cash offer of US$7.59 (equivalent to CDN$9.79) per class-A share to acquire all of its outstanding units. The revised proposal of March 26 followed an initial conditional unsolicited proposal on Dec. 12 of US$7.54 per unit. The board of Pure Multi-Family’s general partner had formed a special committee of independent directors to evaluate the initial proposal in December. The committee hired Scotiabank as its financial advisors and Farris, Vaughan, Wills & Murphy LLP as its legal advisors. The board and the special committee unanimously concluded on Jan. 17 the initial proposal was inadequate. Electra said its newest offer was a 24 per cent premium to the shares’ last closing volume-weighted-average trading price on the TSX Venture Exchange when it was tendered. Pure Multi-Family’s shares increased to $9.30, up $1.30 or 16.25 per cent Tuesday. Nearly 1.7 million of the trust’s 76.7-million shares traded hands. 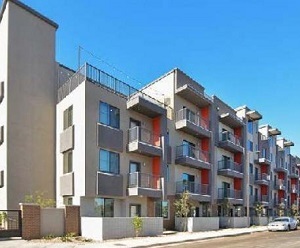 Electra America is an established buyer of real estate in the U.S. Sunbelt multi-family market. The firm is headquartered in North Palm Beach, Fla., and is a member of The ELCO Holdings family of companies. Together with its affiliates, Electra has acquired, operated and sold more than 150 multi-family communities, representing more than 40,000 apartment units valued at more than US$3 billion. Principals of Electra America have worked in both the private and public sectors of multi-family real estate. Electra America currently manages 21,000 units valued at more than US$2 billion in enterprise value. The firm has been extremely active in mergers and acquisitions, having completed, among others, the acquisition of Apartment Trust of America, a U.S. apartment REIT, and the sale of approximately US$2 billion of apartment assets to Starwood Capital Group and Milestone Apartments Real Estate Investment Trust. Electra’s offer is not conditioned on financing. Electra says it is able to move quickly to complete the proposed transaction once due diligence is completed. Vision Capital Corporation, one of Pure Multi-Family’s most significant unitholders through funds Vision manages, Wednesday sent a letter to the Board of Directors of Pure’s governing general partner encouraging all unitholders to express their support for the latest offer. Pure Multi-Family REIT LP is a Canadian-based vehicle which offers investors exclusive exposure to attractive institutional quality U.S. multi-family real estate assets. Pure Multi-Family has focused on acquiring luxury resort-style apartment communities in the major markets of the U.S. Sunbelt. During its 2017 fiscal year, Pure added seven properties and 1,858 units for US$328 million. It also internalized its property management functions, moving it all under the control of the REIT. The properties are located in four general geographic areas, Dallas – Fort Worth, Houston, Austin and San Antonio in Texas and in Phoenix.